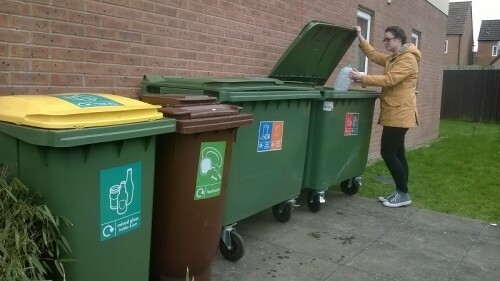 Recycling collected every week / Casglu ailgylchu bob wynthos / مواد إعادة التدوير المجموعة أسبوعيًا / Odpady zbierane co tydzien / Odpad k recyklaci svážen každý týden / Odpad na recykláciu sa zbiera každý týždeň. Are my materials really recycled? Yes! 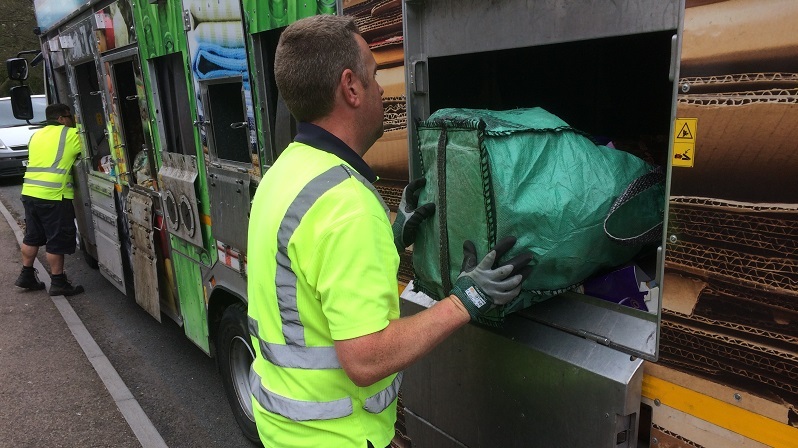 The collection system ensures 99.9% of everything we collect gets recycled in the UK. I have quite a lot of cardboard. We only have capacity for one green box + the same size (in a box or bundle) per household per week. There should be separate bins for each material in your block. Broken or overflowing bins? Contact us. 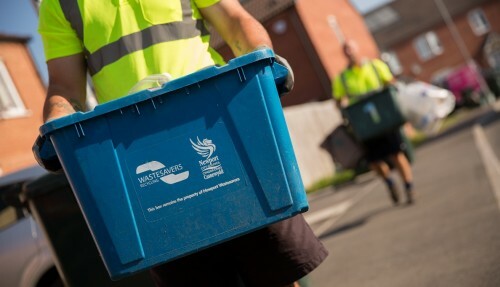 Be sure your box is out for collection by 7.00 am on the morning of collection. Find your collection day here. 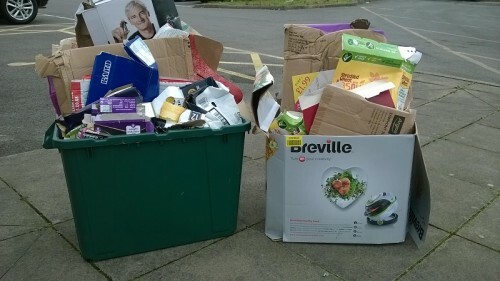 Please place boxes on the kerbside OUTSIDE your property, where we can see them from the road. 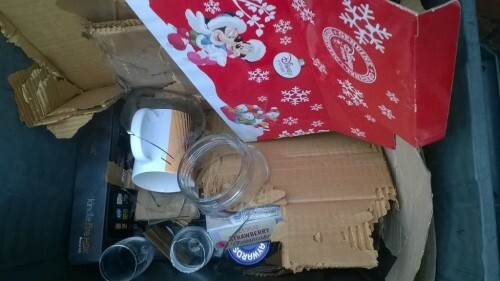 Please do not place non-recyclable items like plastic bags, crisp packets or pet food pouches in boxes or bags. Use our liners to keep your caddy clean. 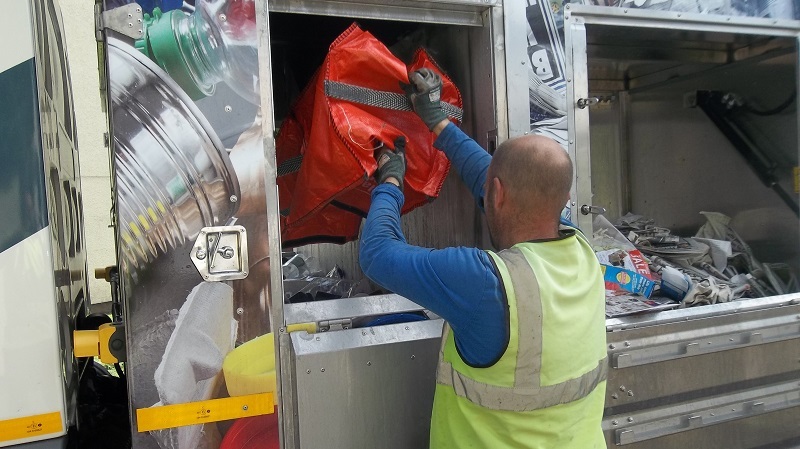 Keep the lid on your outside food bin closed. 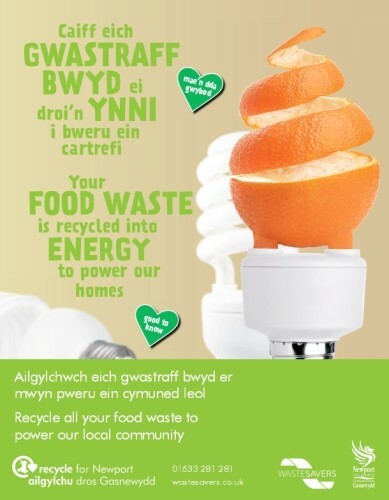 Food recycling – you know it makes sense. * Picked up every week. * Takes anything from tea bags to bones. 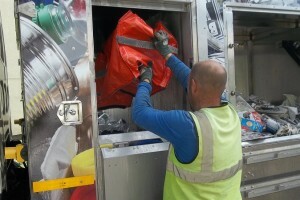 * Can save you money – you see what you throw away. * Good for the environment – gets turned into energy and compost. Ask us for your FREE kit today!